We’re not the kinda folks who particularly enjoy tooting our own horn, but there are a few things about Paraclete XP that we really want to share with you. They’re — well — kinda secrets. Not proper secrets, of course, but super-cool facts that not everybody knows about our home — truly, the very best “indoor skydiving” wind tunnel in America. Paraclete XP Indoor is a special place for all kinds of reasons, and we’re here to let you in on just a few of them. Let’s get started, shall we? The founding fathers of Paraclete XP come from a proud tradition of military service, which is unsurprising in a region where so many military service-people and their families make their homes. We pride ourselves on being an active, integral part of the community, giving back wherever possible and supporting our active duty, veteran and dependent athletes (and fun-havers!) with a fulfilling, satisfying, super-enjoyable experience the likes of which is likely unequaled in their lives. 2. We’re the largest “indoor skydiving” wind tunnel in the United States. In the past few years, dozens of wind tunnels have popped up from sea to shining sea. For all that wind they’re pushin’, none have yet been able to match our facility. After all, those tunnels have been built for first-timers, with an eye to economy. The idea: A first-timer won’t necessarily know the difference between a smaller tunnel and a bigger one. While that’s kinda true, we know that a budding flyer needs space to grow. Footage matters! We’ve been proudly providing that space since all the way back in [year]. 3. We were founded by air-sports athletes, for air-sports athletes. ….And how do we know that? 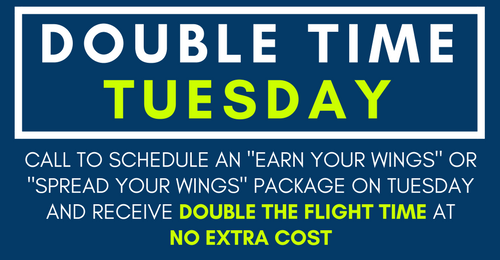 Because we don’t just love to fly with first-time tunnel students. We love to fly for ourselves! 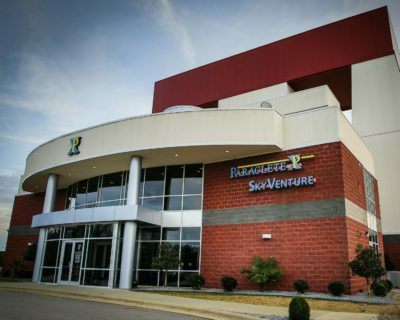 Paraclete XP indoor is proud to serve as the training hub not only for the US Army Golden Knights but for a who’s who of the world’s best indoor skydiving athletes. Our teams take lots of international gold, and that trend shows no signs of slowing. Every member of our staff understands just how much our athletes love to fly — and just what they need to make their dreams a reality — because our staff dreams the same dream. That may seem like a subtle difference, but it plays out in dramatically positive ways, every day we go to work. 4. The difference isn’t just indoor. What do skydiving athletes need besides a great big tunnel to train in? A fleet of great big turbine aircraft, a hop, skip and a skydive away! We’re only one mile from one of the largest skydiving centers in the United States — ours! — and the cross-training our jumpers enjoy from that proximity makes all the difference in the quality, quantity and enjoyability of their skydives. We’re proud to be home to one of the strongest multidisciplinary communities in the world. 5. We’re a gateway drug to competition. You don’t have a competitive bone in your body, huh? Well: Once you’ve had the chance to spectate at the events that constantly roll through Paraclete XP Indoor, you might just get the bug. Indoor Skydiving Championships have a tendency to inspire great things from eager athletes, and there’s a non-negligible chance you’ll go from a gawker to podium-topper before you know it. The minimum age to make a skydive in America is 18 (with a valid government ID to prove it), but indoor skydiving holds no such restriction. Kids as young as three and as old as 100 fly in the tunnel and love the stuffin’ out of it. Beyond that, all comers are free to spectate from our beautiful, comfortable 360-degree observation deck — between flights, or simply to get inspired to try it out themselves. We love to watch families share the experience of flight together! That’s about enough self-congratulation for one day, but y’know what? We’re glad we shared this stuff with you. We’d love to welcome you at our truly unique facility and show you just how delightful human flight can be. Book your reservation today! The entire staff is extraordinarily professional and gracious. They are extremely safety conscious while at the same time giving everyone as much freedom as they can safely manage. A rare combination. While we (adults) were there, our instructor also suited up and trained a 2-year-old boy and a three-year-old girl.